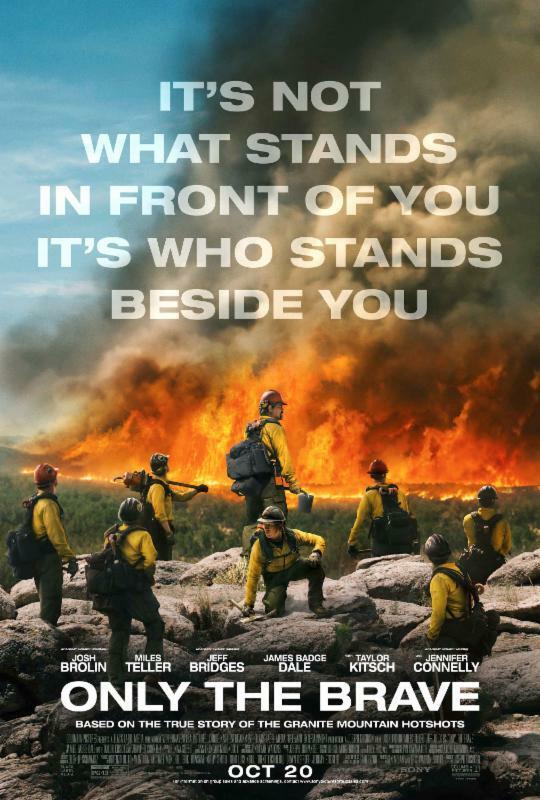 If you enjoy movies based on true stories than you don't want to miss Only The Brave coming to theaters in less than a week! True story movies are always my favorite because I know the heroes in the story really did those heroic things. Its a reminder that I can look to real heroes for inspiration, not just fictional ones. This story is especially touching because it is still fresh in our memory. It took place only 5 years ago. Also, it brings much deserved recognition to firefighters, everyday heroes who constantly jeopardize their own safety and often go without thanks. Hotshots are elite firefighters. They are more officially know as an interagency hotshot crew or IHC. Their job is to fight wildfires. This often requires them to parachute into remote places and stay away from family for days and weeks at a time. They work behind the scenes to save property, homes, and even lives. But because they work out in remote places people rarely see what they do and so they receive even less appreciation than traditional firefighters. We should do more to show our appreciation for these men and women who risk and sometimes sacrifice their lives for our safety. One way you can do that is by going to see this movie. This would be a great family movie if your children are old enough. It has received a PG-13 rating. You can also donate to the Firefighter Support Foundation here. Jesus said, "Greater love has no one than this, that someone lay down his life for his friends." John 15:13 WEB. Firefighters truly embody this principle. Here is a short documentary on the true story by the Weather Channel. Here is a short memorial video to those who perished.